Anyway, let’s now look at his top five craziest moments. Following an October 31, 2011 loss to the Rangers, in which the Sharks‘ hopes for a six-game sweep on the road were spoiled in New York, San Jose captain Joe Thornton expressed his frustrations to the media. He told CSNBayArea.com that the Sharks “should have beat” the Rangers because they were “probably the softest team” the Sharks faced on the trip. Tortorellas’ comments turned out to be prophetic, at least for now: The Sharks bumbled their way to a 4-1 first round exit at the hands of the St. Louis Blues. Psychotic as he may seem, I must admit that, as a Caps fan, I wholeheartedly agree with Tortorella’s assessment of the Penguins’ character. As his coach, Tortorella did everything he could to make Avery’s life miserable, repeatedly benching him and assigning him to the AHL, before the club finally released him this year. During the third period of a 4-0 game 5 loss to the Caps in the 2009 Eastern Conference Quarterfinals, Tortorella expressed his frustrations by attacking a Caps fan who seated behind the Rangers’ bench. 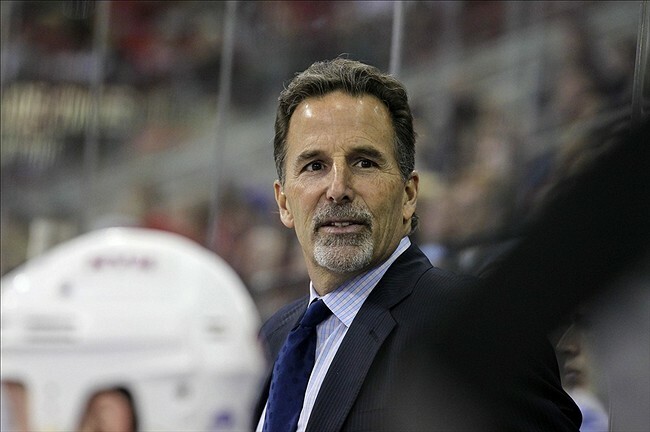 After the fan allegedly poured beer on him, Tortorella first squirted water in the fan’s direction. He then proceeded to throw the bottle into the stands, striking an innocent bystander in the process, and to top it off, he grabbed a stick off the bench and waved it menacingly in the fan’s direction. 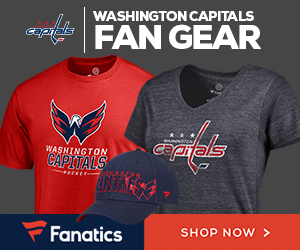 Tortorella was suspended by the NHL for game 6, which the Caps won en route to taking the series in seven games (hint, hint, 2012 Washington Capitals). Then, of course, there was the incident from last season’s playoffs against the Capitals. One thing we urge Brooks to do the next time he trades jabs with the coach: Bring up Tortorella’s mustache from his days as a Sabres assistant coach. You’ll thank me later. Yell louder, folks, the meter has retured.